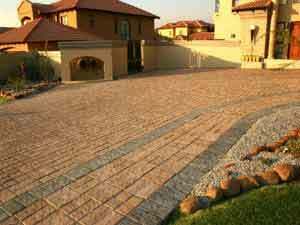 Most sports cars are very low and often the driveway needs to be leveled with filling and compaction to accommodate the sports car. We have just had this problem with a client in Rivonia where the underside of his Porsche and his wife’s BWM was catching the cement edging of the street and so consequently they had to leave their cars outside at night. 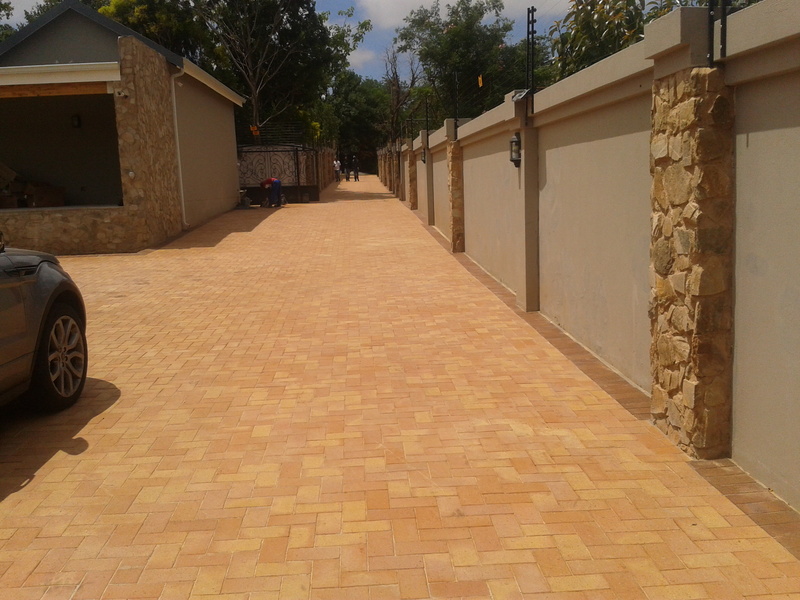 The existing driveway had an acute downward angle to the garages which had to be adjusted as well as the entrance from the street. 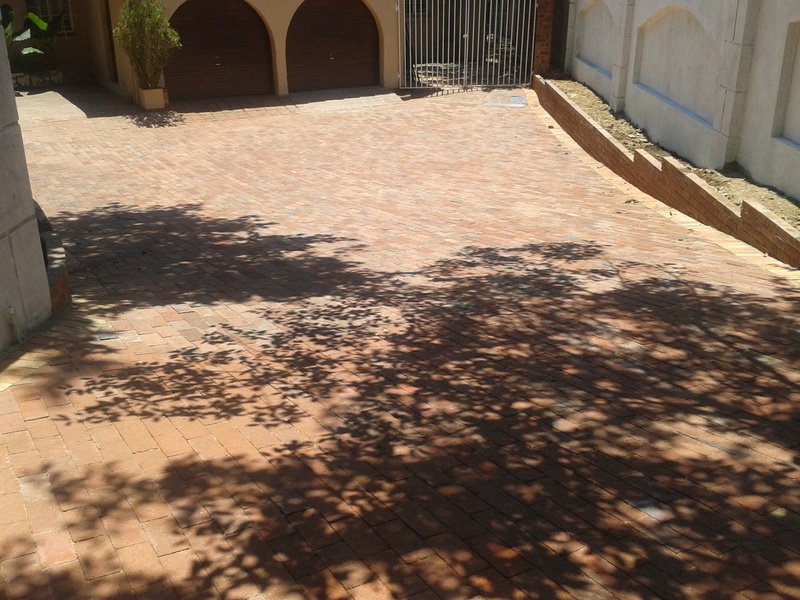 Using 15m3 of filling and uplifting the entire driveway Aztec paving proceeded to recreate the entire driveway. To enhance the entrance we also built a retaining wall against the boundary wall to create a flower box all down the driveway. 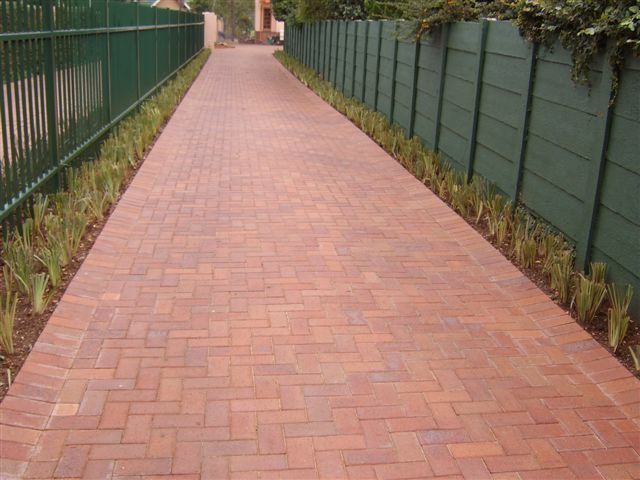 Once the old paving was out, we at Aztec paving pulled fish lines at the angle that was best suited to accommodate the lowness of the 2 sports cars. Then on a gradual basis we started to add the filling and using a Bomag compactor we proceeded to rebuild the driveway slope towards the garages. 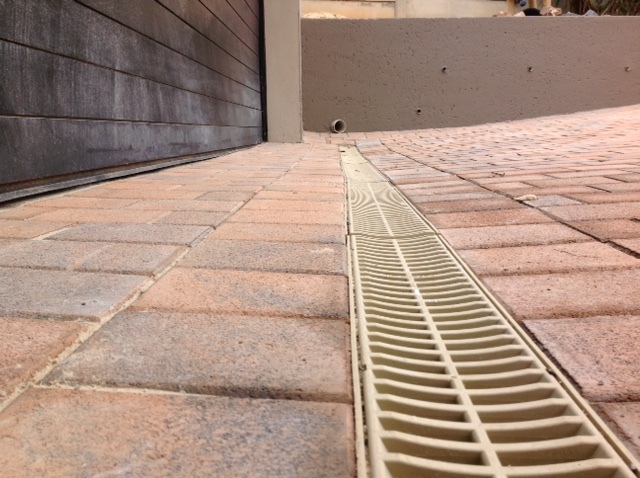 The total area measured 165m2 which should indicate why we needed so much filling. 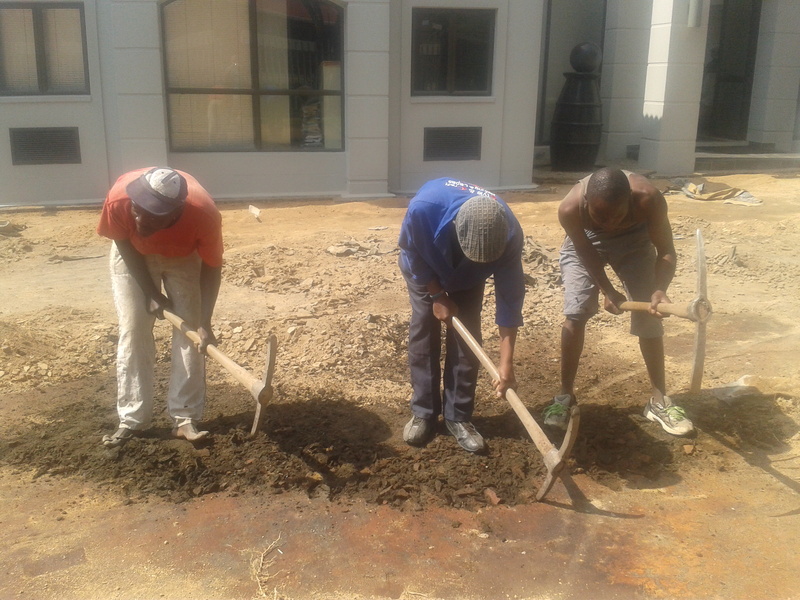 We then cleaned the old bricks, which were re-used. 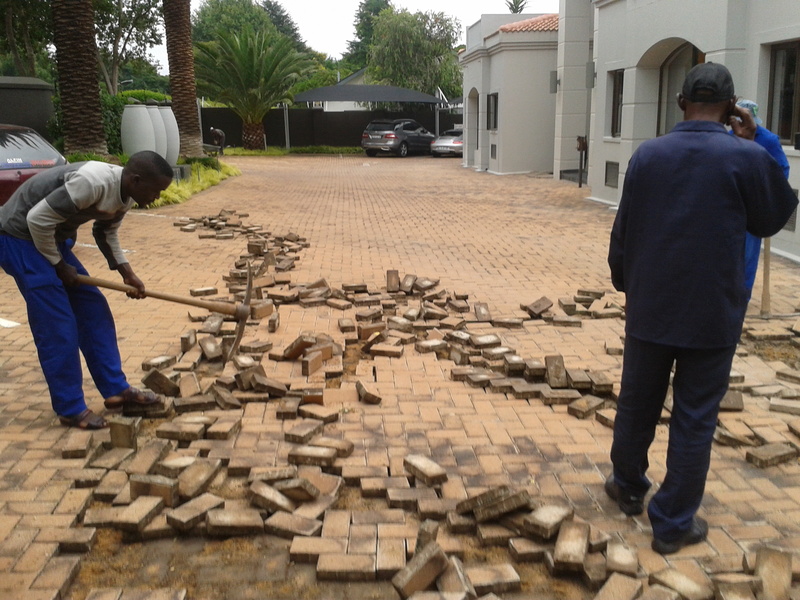 We only needed 400 new bricks to replace the edgebeam and replace the bricks that got broken during the uplifting. 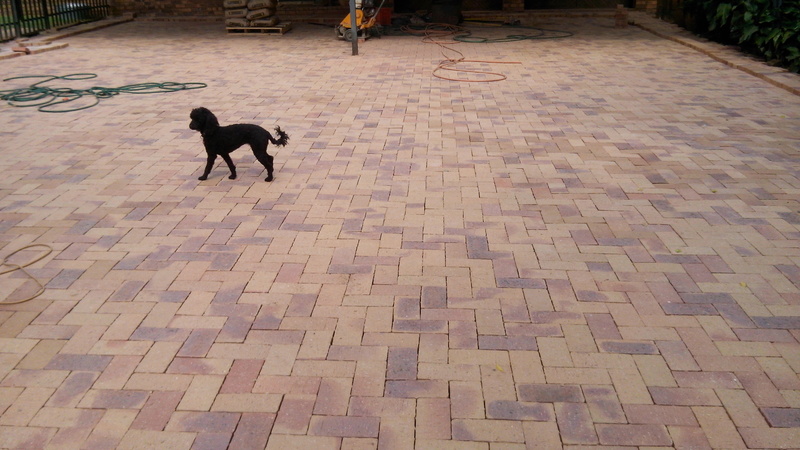 (Not bad considering that the driveway consists of more than 7000 bricks.) 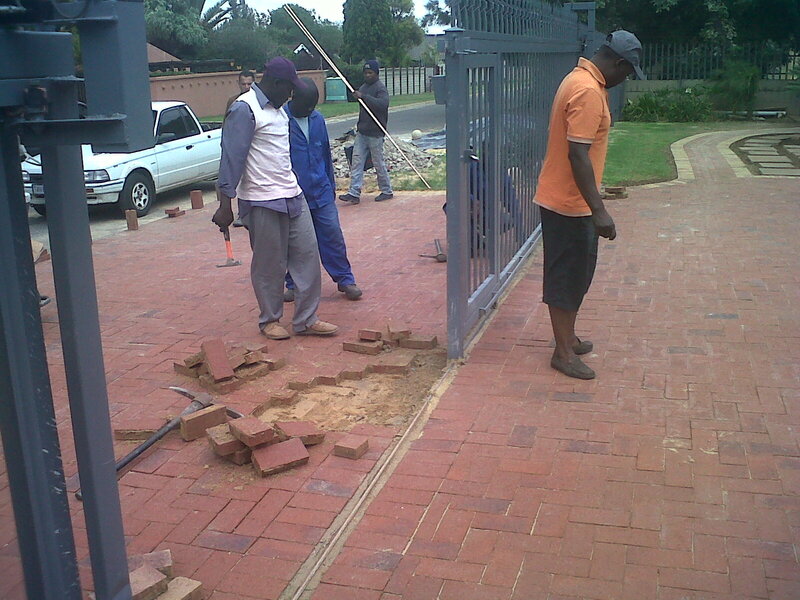 Once the slope and entrance were compacted with the correct angles we proceeded to repack the old bricks to maintain the previous look that the driveway had. 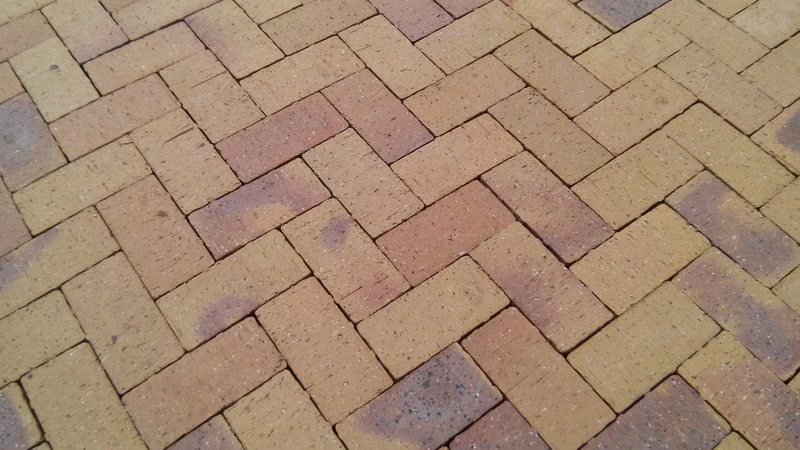 The cost was in the region of only half what it would have cost using new bricks. 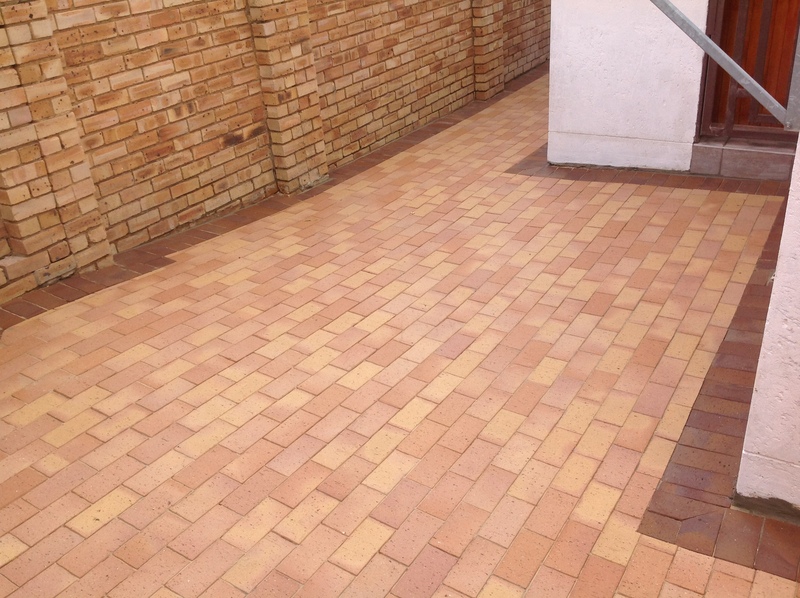 The client did not bother calling for other quotes as he had previously seen the quality of the work we put out at Aztec paving, plus, he also knew that we do not over charge our clients and those are the main reasons for the referrals we get on a weekly basis. 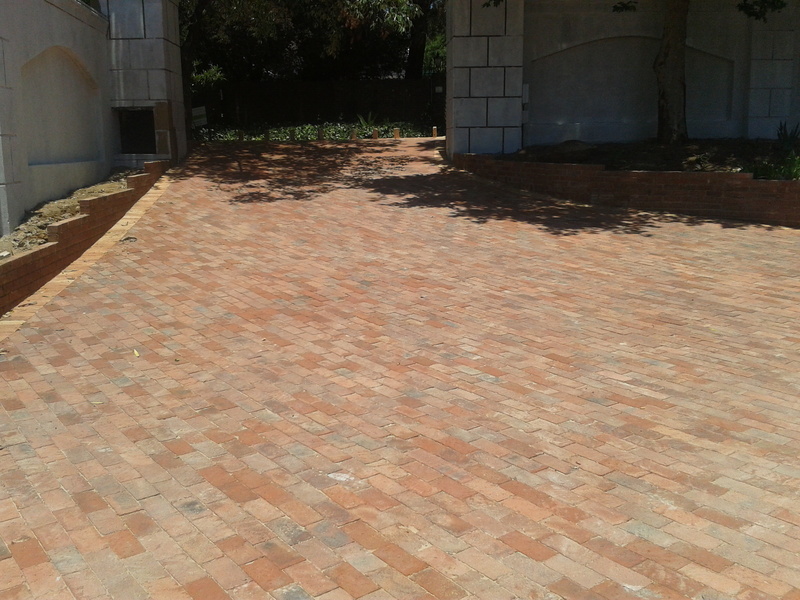 Often a driveway just needs a spring cleaning to shine once again and the re-use of old bricks can often not only be cheaper but also maintain the original appearance that was created when the house was built.